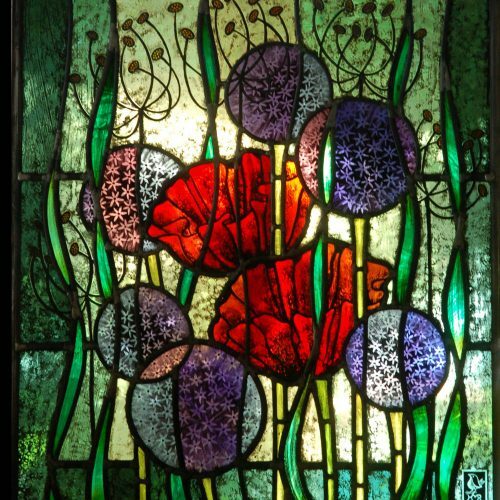 Inspired by botanical forms, Helen works from a new studio in Shropshire and produces commissions for public and private buildings. 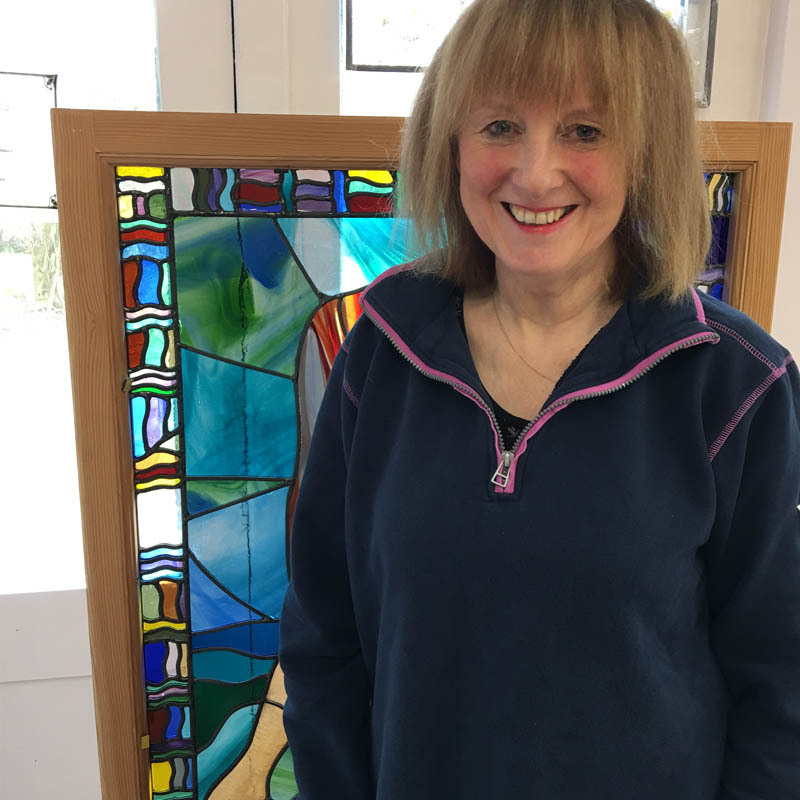 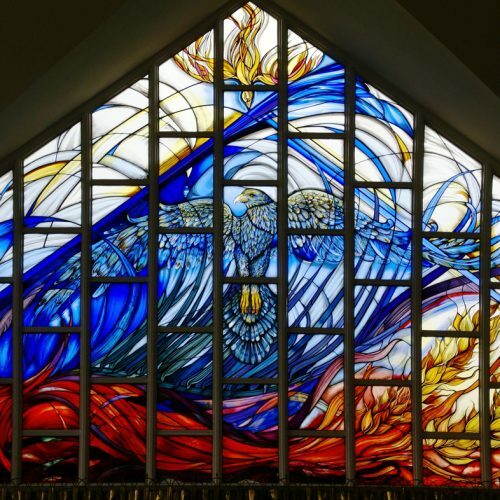 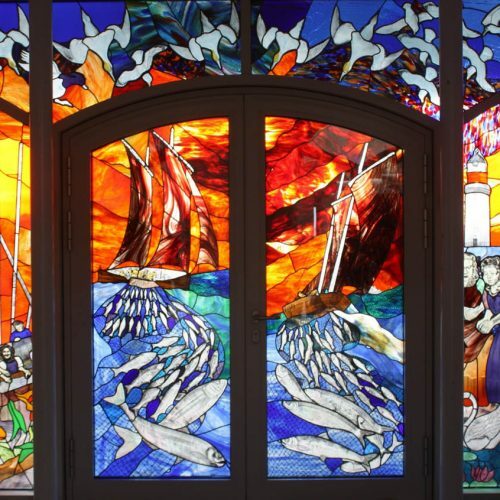 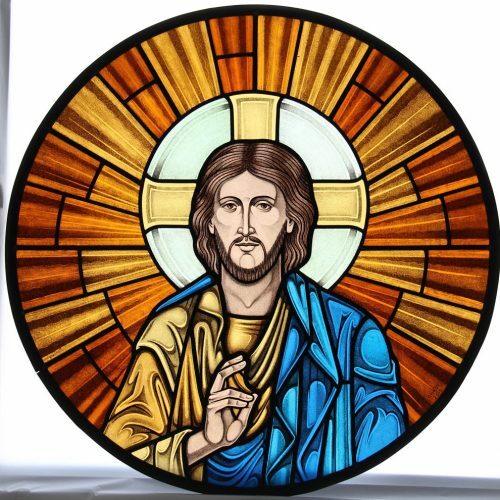 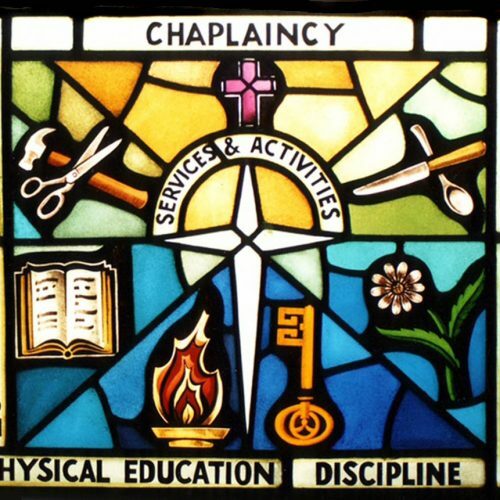 Jane studied stained glass at Swansea and has learned from many eminent practitioners. 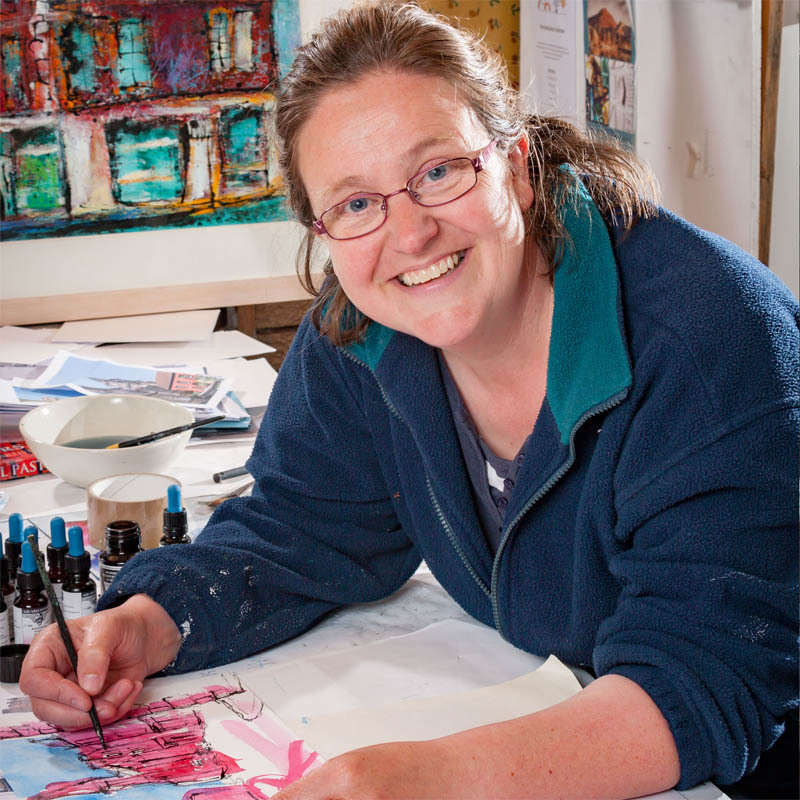 She has worked from her studio in Scotland for over thirty years. 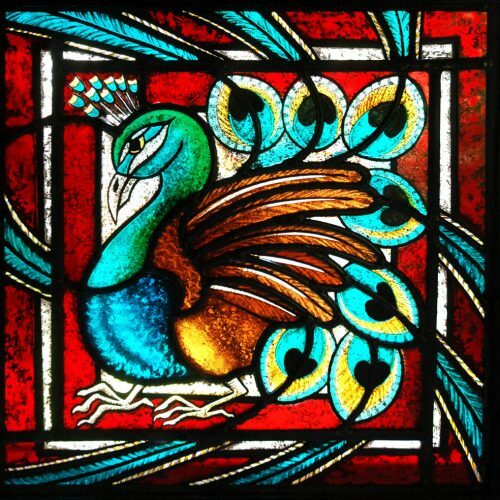 Jude's vibrant colour pallete and love of natural forms underpin her work. 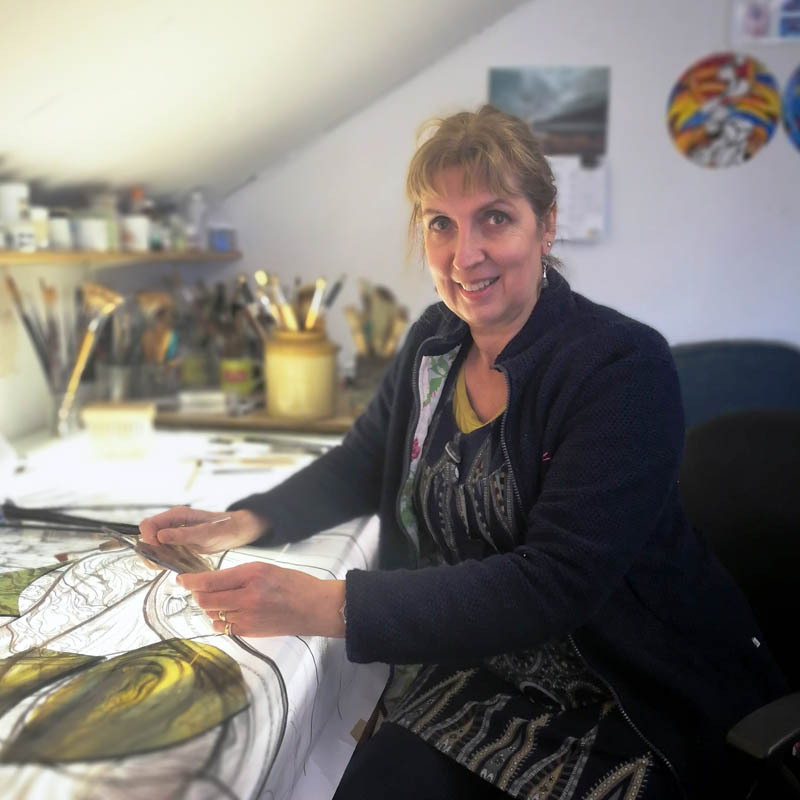 She brings over thirty years restoration painting skills to contemporary commissions from her Portsmouth studio. 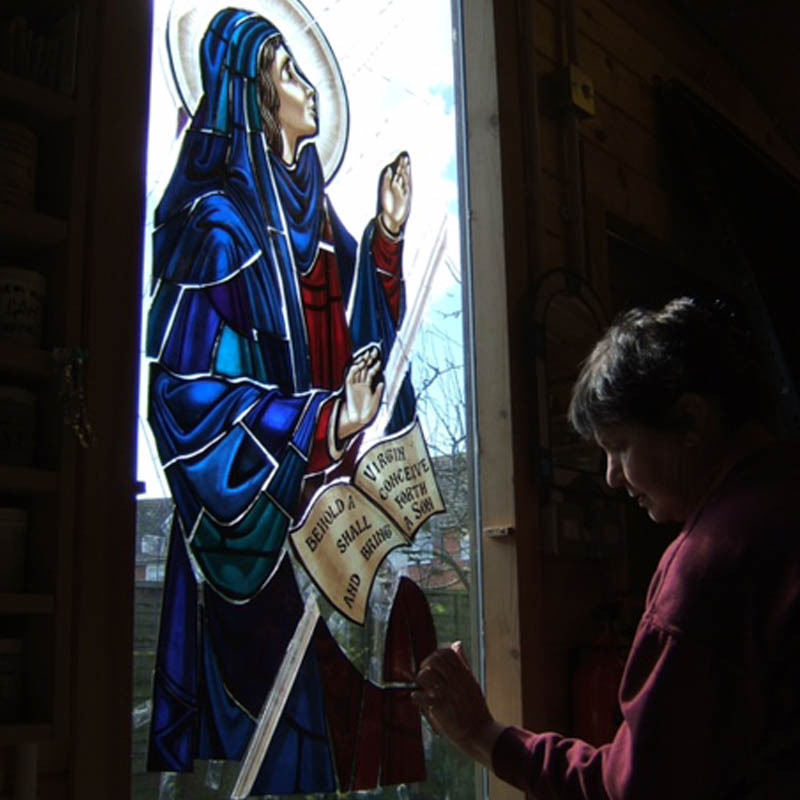 Judy works with both new designs and the conservation and restoration of old windows. 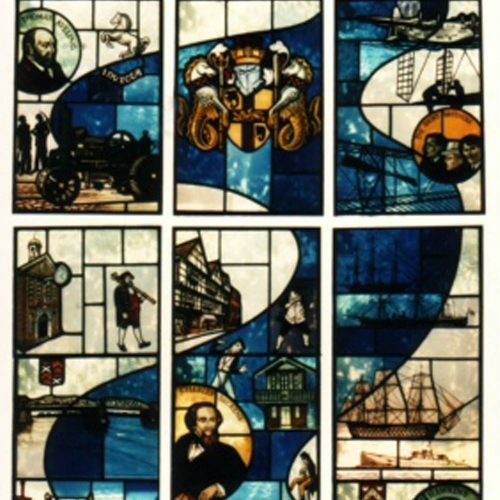 Her work in found across Kent. 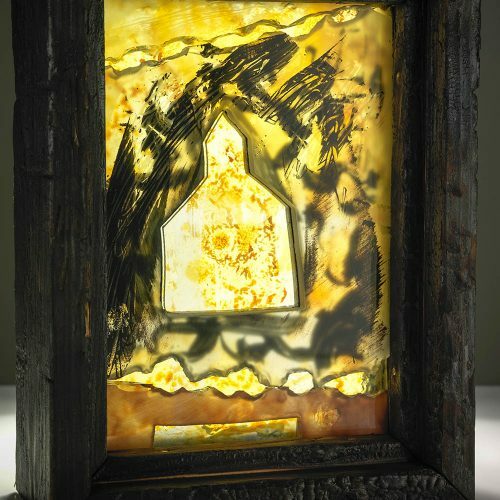 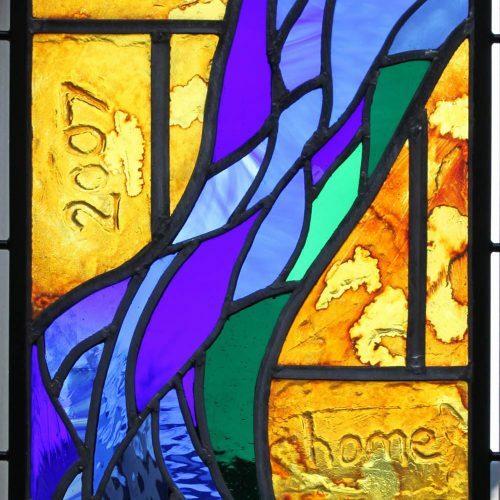 Kate's painterly approach to stained glass gives her work a rich texture. 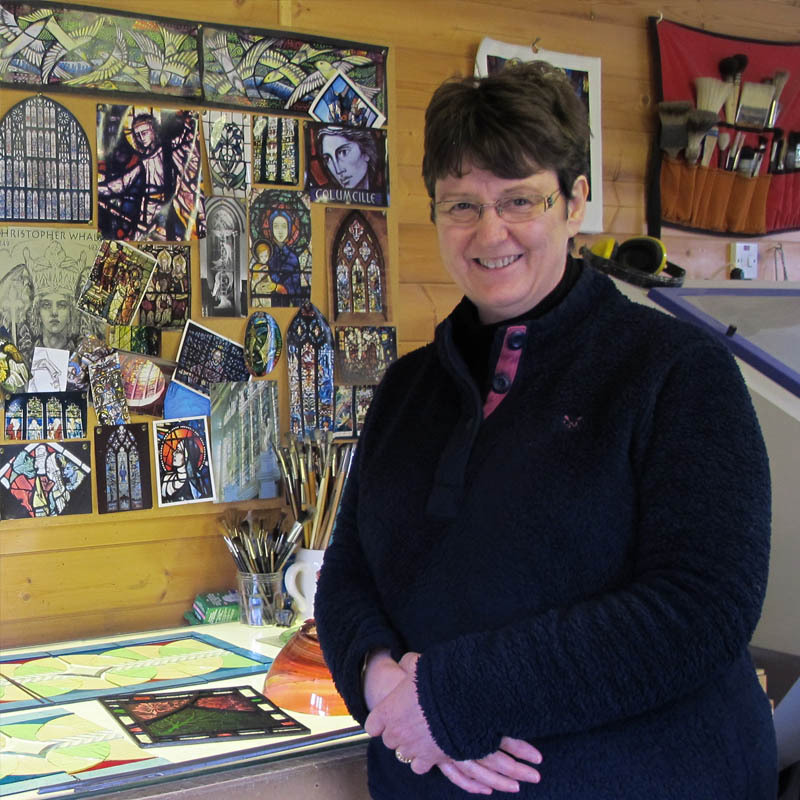 From her studio in East Lothian she makes exhibition panels and does commissions. 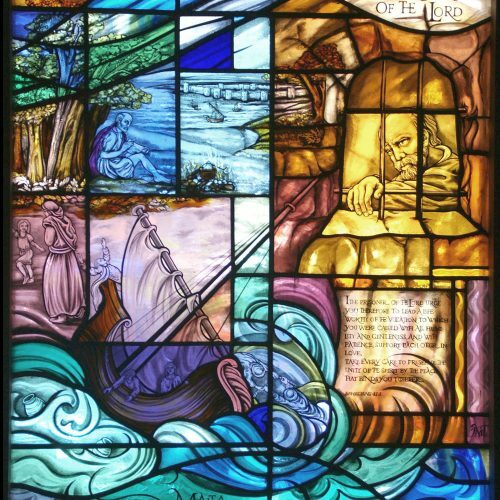 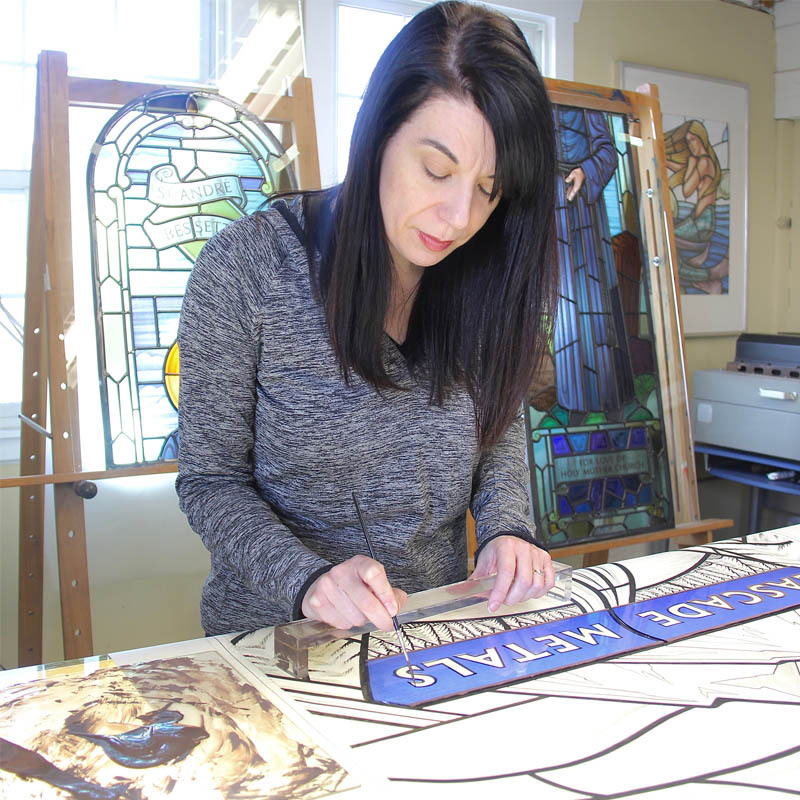 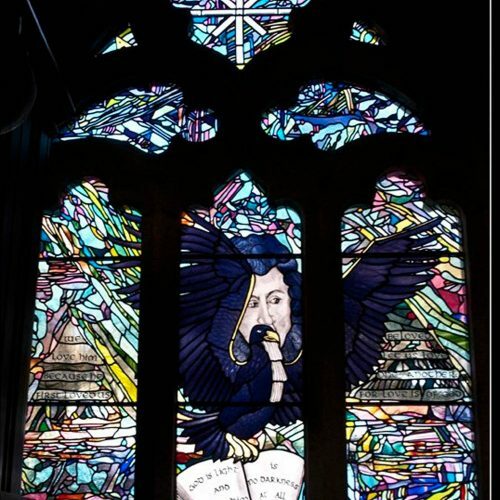 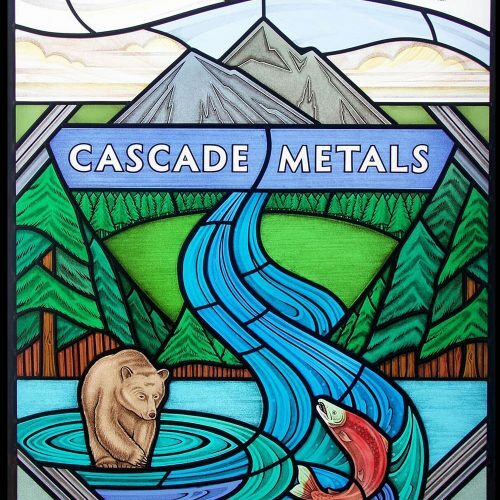 Laura trained in the English tradition of stained glass and took it to Canada when she moved there with her husband John.